MOSCOW, June 14. /TASS/. A senior official of the Russian Orthodox Church (ROC) said the situation around postponement of the Pan-Orthodox Council should not be dramatized. “In a situation when councils of this level have not gathered for many centuries, maybe it requires more time,” Chairman of the Russian Orthodox Church Synod’s department for relations with society and media Vladimir Legoyda told the Rossiya 24 television channel in an interview on Monday. “Therefore, I am not inclined to somehow dramatize what is going on now and see a disaster in it. We believe this is a working situation, but it should be brought to an end,” Legoyda said. Earlier Monday, Chairman of the Russian Orthodox Church’s Department of External Church Relations Metropolitan Hilarion said the ROC will ask the Patriarchate of Constantinople to postpone the date of the Council and prepare it better. 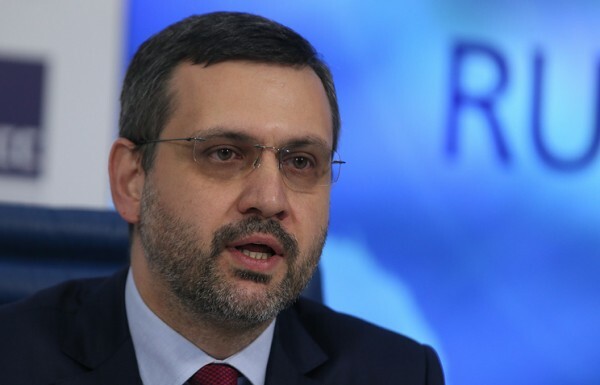 “The council needs to be postponed, relevant preparation should be made, the existing questions taken off the table and a Pan-Orthodox Council should be held at a new date,” Legoyda said, suggesting waiting for “a response to the ROC’s proposal.”. Following an extraordinary meeting of the Holy Synod, the Russian Orthodox Church on Monday decided not to take part in the Pan-Orthodox Council taking into account that several other Local Churches will not be present. Two weeks prior to the planned dates of the Council (June 17-26) to be held in Crete, Greece, Orthodox Churches began refusing to participate. The Bulgarian Orthodox Church was the first one, to be followed by the Church of Antioch (Syria), the Serbian and Georgian Churches. With the absence of at least one of the 14 Local Churches, the Council loses the status of a pan-Orthodox one, and its decisions are not mandatory for those absent.